Anglers have an interesting way of communicating with each other. Between the many sects and styles, personalities and demographics, we all have one thing in common. As a collective group, we are appreciative of small gifts – early mornings on empty, misty rivers, catching a trout on the first cast, and the last cast, and the comradery of fellow anglers. There is a certain uplifting spirit of affirming looks that one gets while lugging a large wooden net through a crowded airport. There is a special kinship in coming across another man or woman who also judges a place’s intrinsic value not on how good the food is, or how many museums it has, but how good the fishing is. While there is magic in the fly fishing friendship, one cannot ignore the stark juxtaposition in those times of piercing passive aggression while on the water. Those moments when you happen to glance down river to see another angler, hands propped onto hips, shaking his head at the boastful bend in your rod. 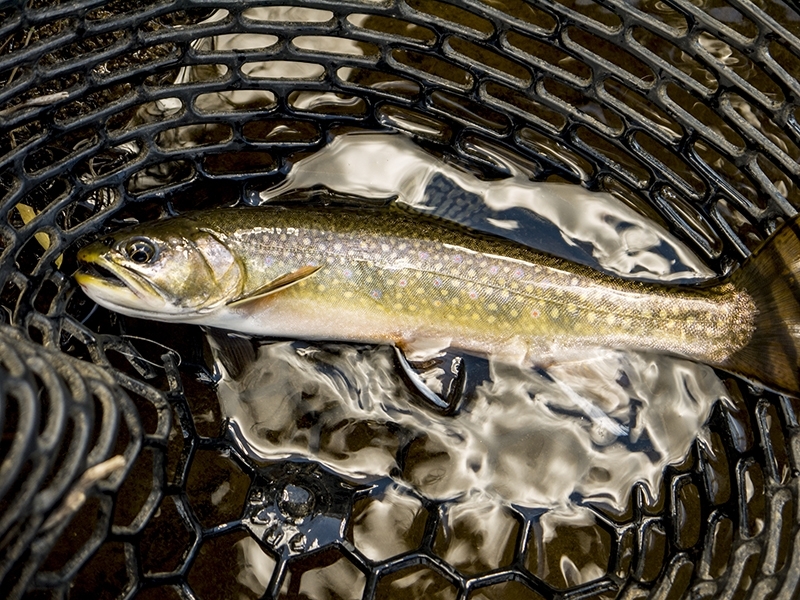 I have fished rivers as large as the Deschutes, and as small as the remote Appalachian streams in the mid-Atlantic. While the fish will range in species and size, and the habitats will vary, the fishermen stay the same. The old adage loose lips sink ships is a mantra that anglers live, and die by. Honey holes, secret spots, and techniques are hidden covenants to the fly fisherman’s moral code of ethics, the first and only commandment being – don’t tell anyone anything. I have befriended many people through the sole connection of a fly rod, but we must not forget that fly anglers are superstitious, selfish, and strange creatures. There was a time when I believed anglers were required to don a bushy, white mustache, thousands of pounds of gear sagging off old vests, and be at least fifty-five years of age. Fly-fishing often wears many masks, getting tagged as a rich man’s sport, an exclusive club of prissy old men who like to fuss over fake bugs. This is, however, is balanced by a younger stereotype that many anglers subscribe to. Mesh hats and flannel shirts are practically uniform for both men and women. Regardless of dress or orientation, we are creatures of habit; we are freshwater junkies in search for something larger than trout. Through our differences, we all recognize each other as some of the most experienced craftsmen, storytellers, and liars (only sometimes). 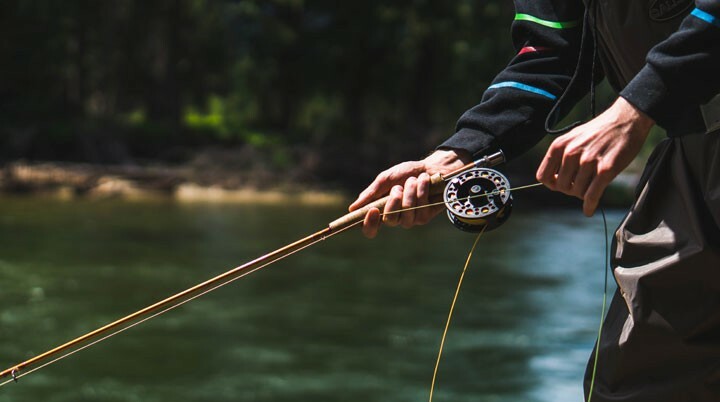 While many outsiders misunderstand the purity of catching fish on a fly, there is certainly a distinct ambiance to the sport. 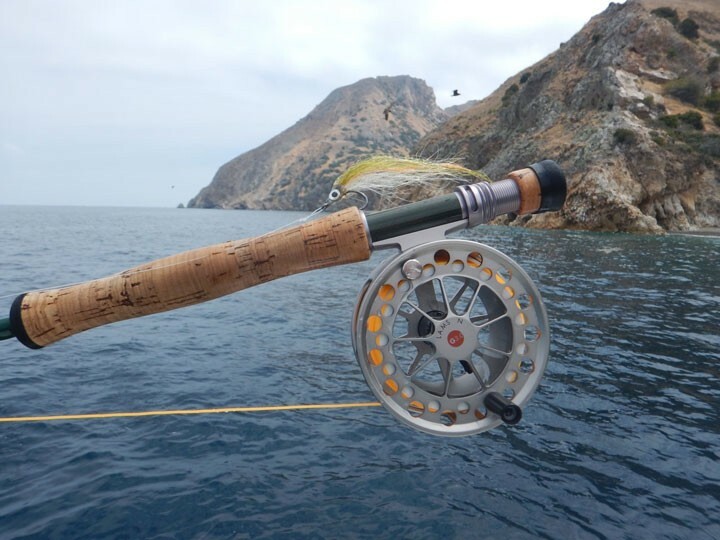 While bait fisherman gawk and scratch their heads at proper catch and release techniques, they can comprehend the peacefulness of casting a fly rod into a pool of rising trout. 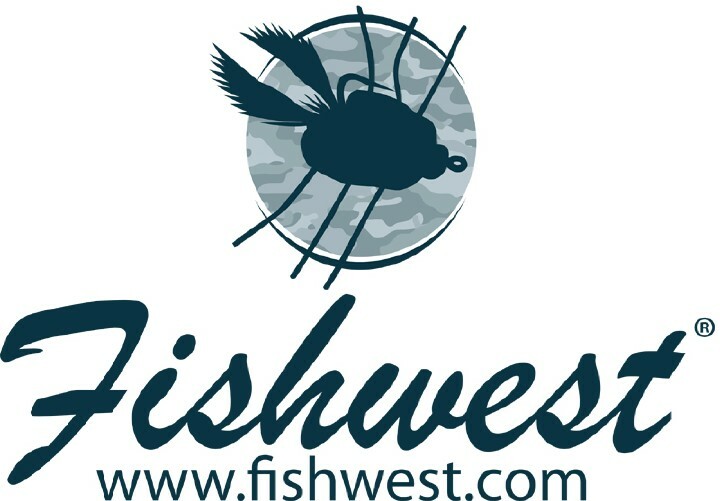 Most of us are drawn to try to catch fish on a fly because we are looking for a breed of fishing that challenges us. Most of us long for a connection to another world that we might never understand, but will have fun trying. When I bought my first fly rod, I went out to one of New Jersey’s state parks and fished incessantly for eight hours straight, without blinking, practically. I was so concerned with photographing my first trout that I lost myself in the moment. I was amazed by the beauty and mystery of trout and their habitats, and as I caught more and more fish, I felt less pressure to always have my line in the water, and my camera in hand. I was able to put the rod down and reflect on the beauty that surrounded me. As clichéd as it sounds, fishing really is not about catching fish. At the beginning, as I immersed myself in the fly-fishing community, I could never understand that. But as I have grown as an angler, it is easier for me to sit on the bank of a river and breath deep breaths. The air seems a little bit cleaner when you lean back on a rock and close your eyes, just listening to the rush of the water. There is beauty in stopping and breaking routine. I have been able to appreciate observing more, conserving the habitats, and teaching others about my passion for the outdoors as a whole. The serenity of observing a rising fish, and hawking its movements is much more fun than slapping a line over its shadow and praying to the fishing gods that it doesn’t spook. As I grow as a human and an angler, I send more prayers to the same fishing gods that I never grow tired of a fluorescent fly line twitching on the water in the morning sun.